Our base price is $12/person, with additional charges for certain and additional meats and sides. Everything is slow smoked over local oak and hickory. Sides are made from scratch. Pricing starts at $12/person and includes two meats and two sides. Additional meats are $2/person and additional sides are $1/person. 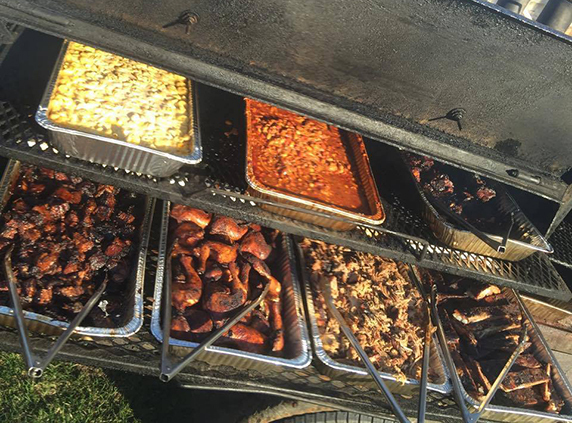 We do bring a smoker to your party to ensure you are getting the freshest BBQ possible. Service is $50/hour. Pricing does not include utensils/plates/napkins. Those are available for our cost plus 30%. Chafer rental is $50. 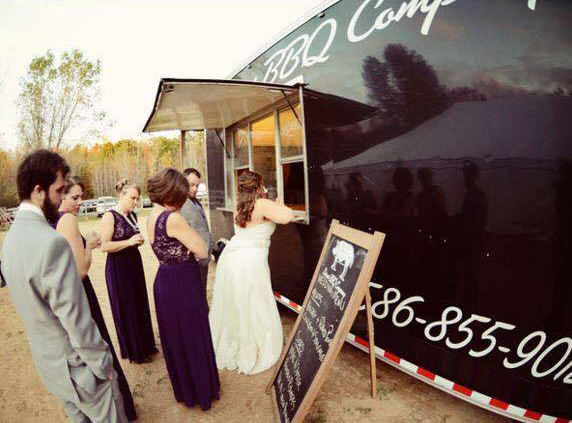 We also have the option to bring the Food truck to your event. Food truck rental is $300 for 2 hours and $100 for each additional hour with a $1000 minimum food order. Please don’t hesitate submitting the catering contact form below if you have questions.